These are a handy way to get more traffic to your site, especially for branded searches where folks may want to click directly to a specific page on your site instead of going to your homepage and then clicking around. We also used the Redirection plugin to 301 their old URLs to their root locations. An .htaccess redirect would have worked just as well. 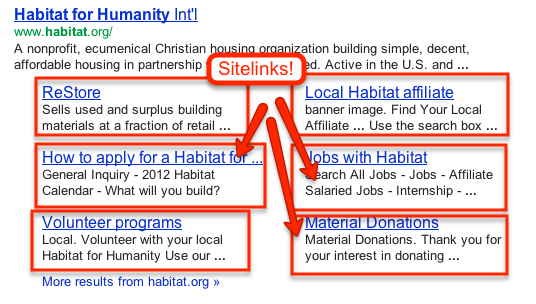 We made this update and a week later the site has their Sitelinks back! That’s a lot harder than re-using syndicated content and cheap link building, but the results will last a lot longer. A frequent problem I see in evaluating web site traffic is that some site pages are missing Google Analytics code, preventing them from being tracked. Very often, these are form submission “thank you” pages (which are ideal Goal Pages in Analytics!) or other pages that have “funny” templates relative to the rest of a site. Works like a champ to ferret out weird pages. You can of course use the same approach to grep for other strings that need to be on all site pages. I was emailing with scrum expert and all-around great guy Dan Greening and thought this might be useful for others as well. Remember when considering search engine optimization to focus first on goals, then traffic, then phrases, then rank. Ranking for irrelevant phrases won’t get you more or better leads. Site visit duration. Long visits (1 minute longer than average?) = goal worth perhaps $5? Site visit pages. Many pages (1 or 2 more than average?) = goal worth another $5? Contact Us submission. There are probably worth $100? Here’s a related post if you’re having trouble setting goal values. Once you have goals and conversions info you can track that back to phrases and find out which ones work best for you. This is a bit of a rosy outlook in that many sites won’t have enough high-value conversions to be statistically significant, which is why I emphasize soft goals like time-on-site and visit-depth. Folks who spend a lot of time on your site or look at lots of your pages are pretty likely to subscribe to your newsletter or submit your contact form later on, so look at the phrases driving that kind of traffic and put your SEO time and money into those. The problem was the smaller belt. I’d bought it about a year ago after losing 30 pounds, and was happy to have a 34″ instead of a 36″ belt. In my new “skinny” waist size, the end of the belt tucked nicely into the belt loop to the left of the buckle and all was well. Then I started eating like in the old days. And before I knew it, some pants seemed to require me to use the next “larger” (i.e. “fatter”) belt hole. This caused the end of the belt to no longer quite reach the belt loop, so it flapped around like a constant reminder that Fried Food Makes You Fat. The straw that broke this camel’s back was when my scale had a highly offensive number on it one morning after eating way too much the night before. There are thousands of people who were really impacted by the Joplin tornadoes. I’m not one of them. To help them, the Red Cross is a great option. They like cash and blood and we all have more of both than we really need! Cousin Dave warned us we might run into weather. Ben (10) and Elizabeth (7) were sitting in the back of the ol’ minivan, headed home from Granny’s house in Oklahoma. They were occupied with tormenting each other, playing Minecraft, reading books, all that stuff. As we drove along I-44 into Missouri, it was clear we’d have some serious rain ahead, so I took a peek on the i-Phone. Indeed it was quite a storm system. This is an update to my previous article about LDA Optimization. The process is now a lot easier with an update to the optimizer tool! Many thanks to Virante and SEOmoz for ideas, support, and inspiration! First up, figure out what keyword you want to improve your page’s rank for. For this test, I’m using the phrase “basketball drills”. I just chose this at random and hoped I’d be able to find a good example site in it. See how that worked out below! 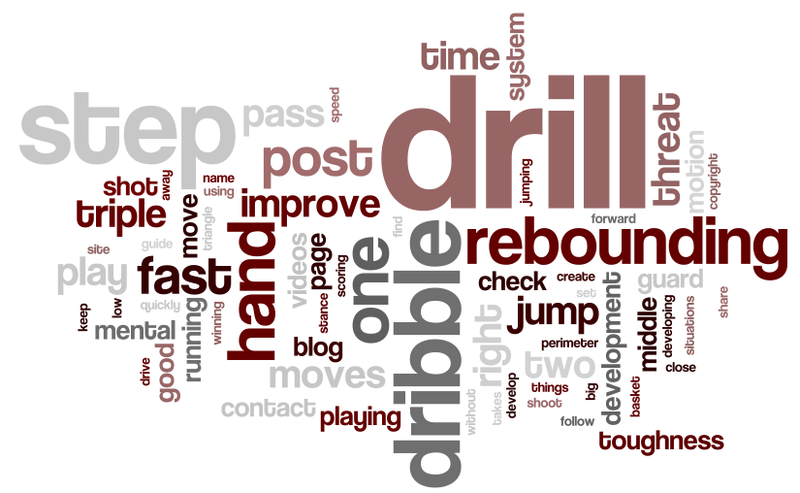 If you have a page about “basketball drills”, shouldn’t it include these words? What if it didn’t? How would you find that out quickly? 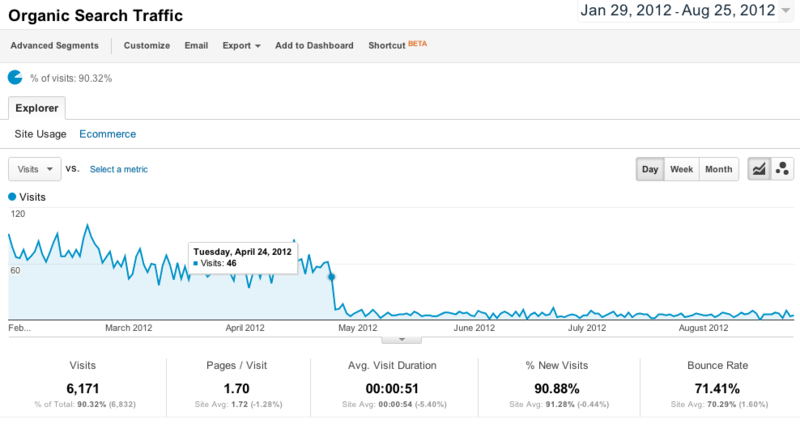 SEOmoz recently announced (and then corrected the stats for) a new tool in their labs called the “LDA Tool“. The tool basically takes a search phrase and a page and tells you how much they relate topically. Unfortunately, it’s not very clear from that report what topics it identifies or what you can do to improve your page’s score. In this post I’ll show you how to just that, and and give you a new LDA Optimization Tool I wrote to make it easy. Most of the sites I work on these days are on the small end of the scale, but a few are large news portals. One of them went through a site redesign a few months ago (before I got involved), and they’ve seen a large dropoff in traffic. I’m starting to look into why that happened, and wanted to share some ideas about how to fix the problem. The fine folks over at SEOmoz provide Pro members with the ability do neat link analysis of web sites and download a CSV of the raw data. Will Critchlow posted over there recently about Advanced Link Analysis Charts to analyze SEOmoz data through their API and a bunch of spiffy Excel graphs. I’m more of a PHP guy, so I put together some very raw beginning code to read in the Linkscape CSV and show pretty pictures using Google Chart.